Skincare has been one of the biggest trends this year and I don’t see it slowing down anytime soon. We are all searching for those miracle skincare products to keep our skin looking youthful. But how do you know what’s right for your specific skin-type? It has taken me years but I feel like I am slowly figuring out my skincare routine thanks to Clarins eye cream. I’m finally seeing what products are actually effective and worth the purchase. I’m one of those people who still loves trying out new beauty products. I want to avoid Botox and fillers for as long as I possibly can and it is definitely possible. I always told myself that I would wait until I was 30 to try Botox and guess what? At 32, I still haven’t found the need because I have found a really effective skincare routine that I’m extremely happy with! Finding an eye cream that is proven to show results should be your goal. Yes, overall skincare is important but your eyes really show your age. The skin around our eyes is so thin and prone to wrinkles quicker than any other part of our face. Just like our necks. But how do you know which eye cream is going to work? We all know that all eye creams are not created equal. So how do you know which one is best for you? This was my struggle for years and years. I really didn’t get into focusing on my skincare until my late 2os and by then it wasn’t only a preventative need but also a correction need. When I look back at old photos of myself I always notice how smooth my face was. Even back 4-5 years ago. The wrinkles around my eyes are more prominent. Don’t even get me started on the puffiness and dark circles. After running out of my skincare samples I was determined to find another product to test out in hopes I would actually see some results. I remember seeing some beauty bloggers posting about Clarins eye cream over the last couple of years and figured I might as well give it a shot. 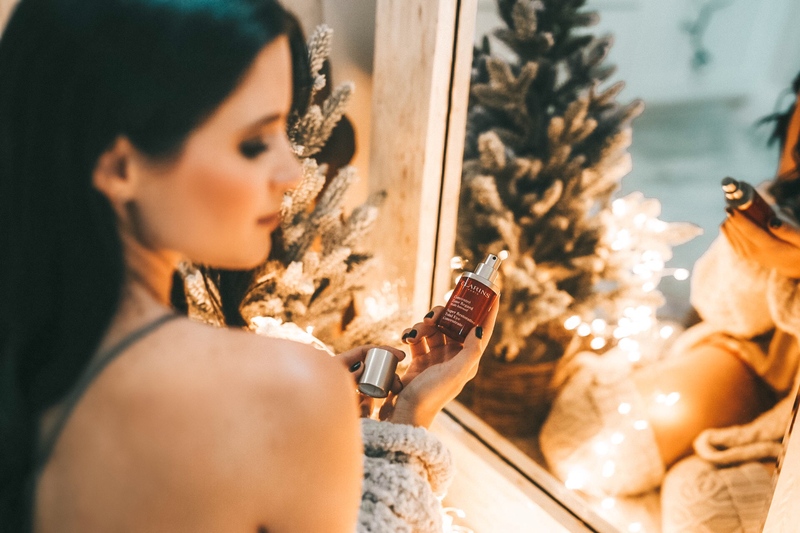 The first product I tried out was the Clarins Double Serum and fell in love. You literally see results within the first 7 days of product use. Excitedly, I started researching more Clarins products to try out. I started reading about the Total Eye Concentrate. Intrigued, I placed my order in hopes I would find the one. And did I ever. I can now say I’ve added Clarins Super Restorative Total Eye Concentrate to my daily skincare routine. 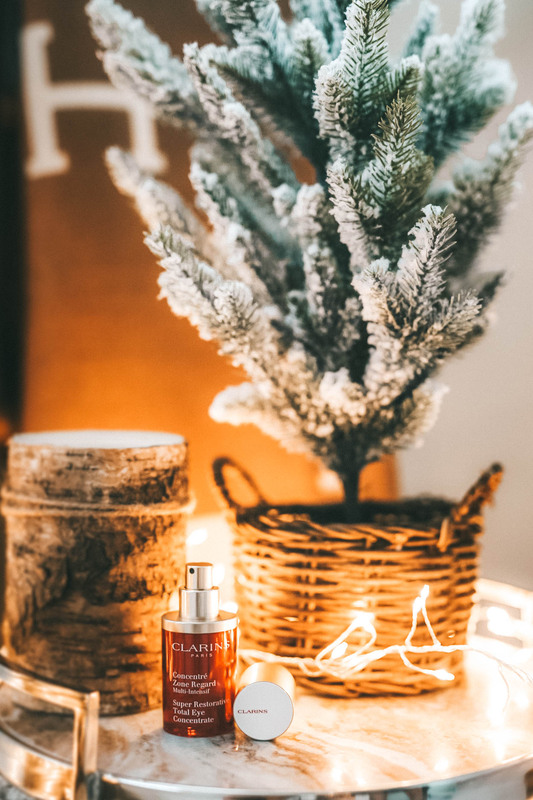 Clarins products are all powered by plants and if you know me you know I love skincare products that are sulfate free and that incorporate natural ingredients. The organic Harungana Extract helps restore the appearance of density. The Cassie Flower Wax smooths the appearance of the eye area. The Tetrapeptides create a more lifted look while the Albizia helps combat dark circles and puffiness. This Eye Concentrate is an all-in-one anti-aging eye cream that targets your entire eye zone from temple to temple. For those of y’all who have sensitive skin, fear not. Clarins Total Eye Concentrate is safe for normal, dry, oily combination and sensitive skin. How to Apply Clarins Eye Cream? Simply warm the concentrate between your fingertips and place/gently press under your eyes moving from the inner corner outwards. Repeat above your eyes on the brow bone, moving from the inner corner outward. 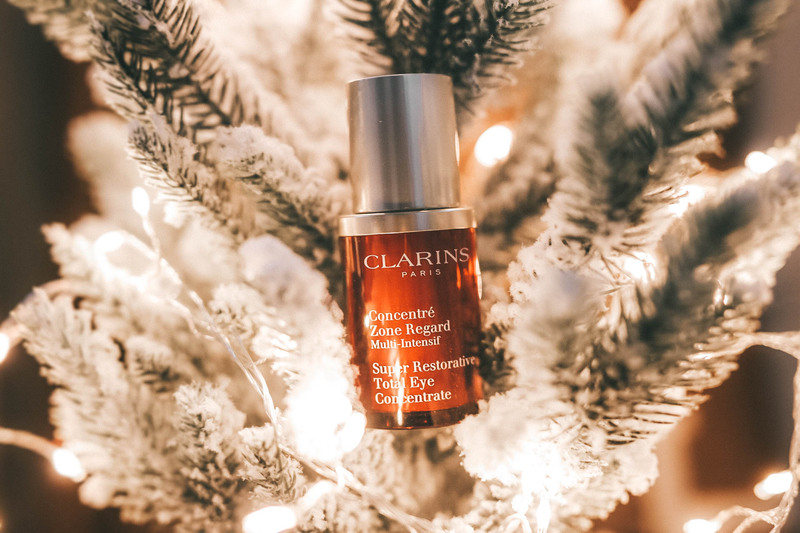 The Clarins Eye Cream Total Eye Concentrate should be applied morning and night. Remember! Don’t pull, tug or stretch your skin when applying. This post is sponsored by Clarins. All thoughts and opinions are my own. 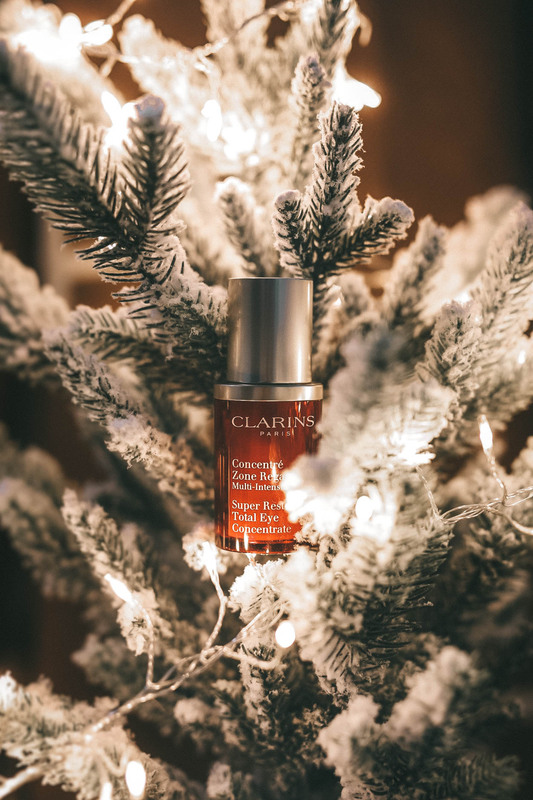 Loving this Clarins eye cream review? Take a look here for more of my beauty favorites! All about a good eye cream. I’ve heard great things about Clarins too! I have heard amazing reviews on this product! Definitely need to grab it and try it out! I’m so obsessed with this eye cream! Actually, I love anything Clarins ha! I need a good eye cream! I didn’t know Clarins is powered by plants! I love that! Thank you for the review! You are so right about how important the eyes are and caring for them! I’m all about trying out new skincare products especially since they are known to work! For sure want to try this eye cream next! Clarins always has the best products! I use their face oil regularly and it does wonders. I still haven’t found the perfect eye cream but would love to try Clarins! I had no idea you used this at night and during the day. Wow I must try this out! I’m obsessed with finding the right eye cream. Thanks for this suggestion!! Trotting off to check this out. Clarins is one of my fav skin care brands. I am gonna have to check out that eye cream. OO ill have to try this one out! I’ve tried to many but never actually see results. I need to try Clarins! Absolutely beautiful photos lady! I love this set up and the twinkle lights. Also, I definitely want to give this product a try! Clarins is one of my favorite brands. I have been using several of their products for months and my skin is so much softer! I need to try this! It sounds amazing! I’ve heard such amazing things I think it’s time to go get it! I love the other Clarin’s products. I need this eye cream! Looks fabulous! I love all of the Clarins products I’ve tried! Definitely need to try this one too! First off these photos are absolutely stunning!! Second, I need to try this – I’m always on the hunt for an amazing eye cream and have yet to find it too.